Meaghan and Jesse opted for a very relaxed beach décor theme that gave vibes of nature, the ocean, and relaxation. 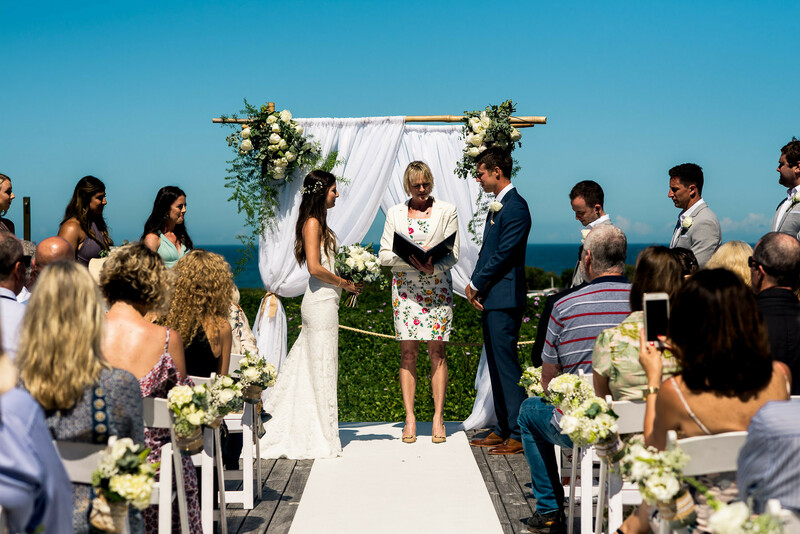 Ocean blues, gentle whites, and soft greens made up the majority of the colour scheme with Green foliage and white flowers added a soft and romantic feel to the décor whilst the beach and cave settings truly immersed the venue in nature. The cake tied in perfectly with the décor by having matching flowers decorating the top – a small but really effective feature that created an elegant feel. The wooden sign posts also worked really well with the beach theme and added some colour depth to the surroundings.